Well Mark, of course we haven’t, but we have made steps in the right direction. Mark’s and comments like this led us to believe it would be useful to offer some recommendations for Moodle HQ. This post offers advice based on our experiences of working with Moodle in an HE institution for the last 10 years. The strength of our Moodle install is not a result of the strength of our development team. We have only ever had two developers. The strength of our Moodle comes as a result of listening to the advice of someone with design, user experience and generic content management system expertise. In 2010 we hired Stuart Lamour who was a UX designer with large amount of experience in web based CMS such as WordPress, Drupal and Joomla. Working with Stuart we were able to identify the key factors about our Moodle install which made teachers create online courses that were little more than long lists of attachments with links to an occasional activity. We were then able to identify key changes to the user interface design which would change the teachers workflow and improve the Moodle courses that they created. It wasn’t difficult to change Moodle to work as we would have liked – it just needed a little inspiration and common sense advice, which wasn’t nearly as common as you might think. If Moodle takes the advice of a similar UX designer they will be able to produce a highly usable Moodle that works for all sectors of the community. Social media is adopted by people because it is easy and enjoyable to use. Facebook, Twitter, Pinterest, Google+ are used because they have the user interface right. In contrast, enterprise systems are bought by purchasers and managers who often don’t use the system. Using enterprise systems is often unintuitive and wastes employees’ time as they wrestle with them. Employees are paid to use them, but their user interface often stinks. When was the last time you were frustrated by your institution’s finance or student record system? Moodle is an enterprise system. It has been adopted by a critical mass. It won’t go anywhere soon, but that doesn’t mean we shouldn’t be improving its usability. Our tutors deserve an interface that is intuitive so that they can focus on teaching and not Moodle course administration. Moodle core needs to be consolidated because the core of Moodle still isn’t as good as it should be, including many of the “social constructivist” activity modules. Remember, the core Moodle function for the core of Moodle adopters is to make it easy for non-technical teachers to create online content and activities from which students can learn. At all levels of education, teachers refer to textbooks. The strength of systems like Moodle is that the non-technical teachers can create their own online textbooks, specifically for the curriculum they intend to cover. Textbooks usually include activities to complete at the end of the chapter. In VLEs like Moodle, the activities they set can be varied, social and dynamic – more so than activities in a traditional textbook. Like textbooks, Moodle courses need a contents page and chapters. These elements of a textbook match to the Moodle navigation block and Moodle sections. What do content pages of books look like? They are clear and clean! 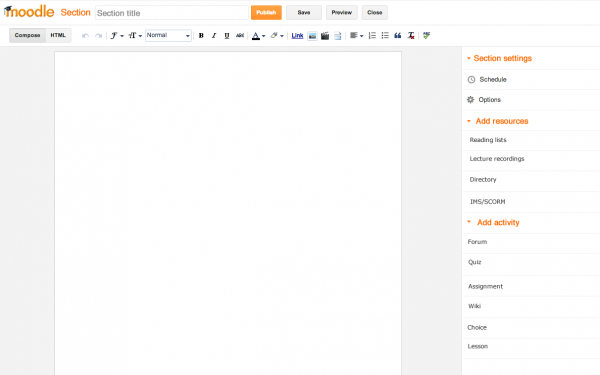 Moodle’s navigation block needs to be the same. 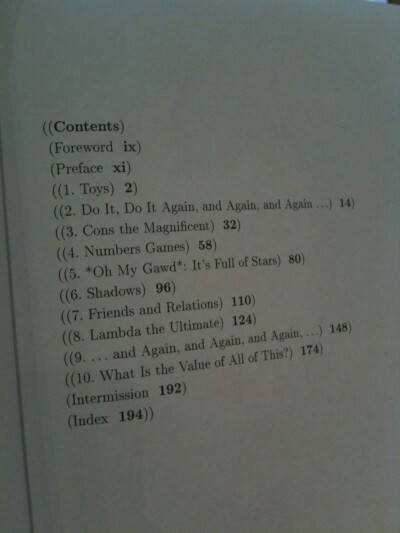 What do book chapters look like? Well, we’d say they are clearly demarcated areas with related content. This leads us to argue that Moodle sections (chapters) need to be clearly separated on different pages with introductions to each. And this does not need to be another configuration setting – it just needs to be so. We’d also recommend that Moodle does not need the option to pre-specify the number of topics in a course. You start with one. If course tutors need more they will add them. The principle is the creator of a textbook doesn’t start with ten chapters they need to fill. They start with one and go on from there. It is as well to remember that non-experts do not like deleting things, so if you create a course with ten sections there will remain ten sections and some will be empty (and by the way, that means you should also start courses with the minimum number of blocks). While some configuration variables are needed, others simply indicate software designers not being able to make a decision. We need to be decisive and focus on our core functionality and core user sets. 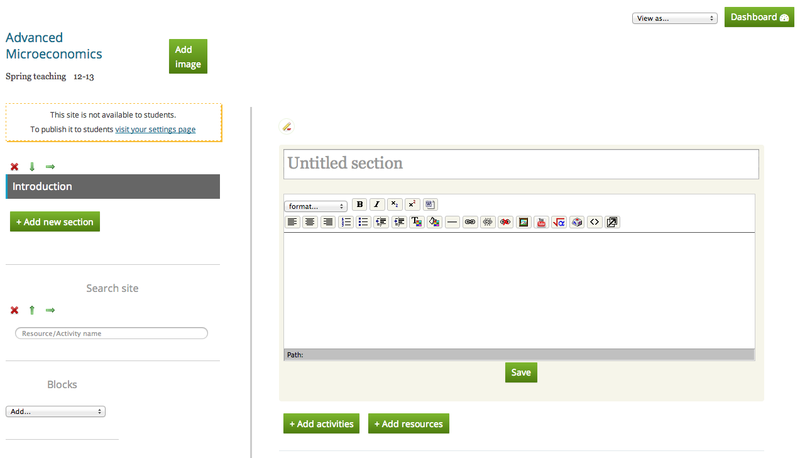 Other configurations of Moodle can be catered for by plugins or flavours. However, until Moodle is really an industry standard VLE/LMS, we need to keep focused on the core functionality and core user groups. Course administration in Moodle is just another block. It shouldn’t be. Course administration needs a clear separation from the course creation and design. It is ontologically different. In most systems, including our own now we have modified it, it is called a “Dashboard“. Like in other content management systems such as WordPress, Blogger and Tumblr administration pages do not need to look anything like the course pages. In fact it probably helps if they look different because they will need their own navigation elements. We used to complain about the Moodle “scroll of death”. Then infinite scrolling came along and we questioned if our complaint was valid. Unlike social media platforms’ scroll Moodle courses usually lack interesting content. It is just a scroll of anonymous links. This is still a reality for many Moodle users today, but not so in our Moodle install. We changed the interface in line with social media platforms so teachers intuitively create content-rich courses for their students. We required each new section within a course to have a section name – as you would expect a chapter to have name. The system auto-builds the navigation menu using that name. Whenever a section is created a textarea field is opened which expects the teacher to enter introductory text – as you would expect a chapter of a textbook to have introductory text. 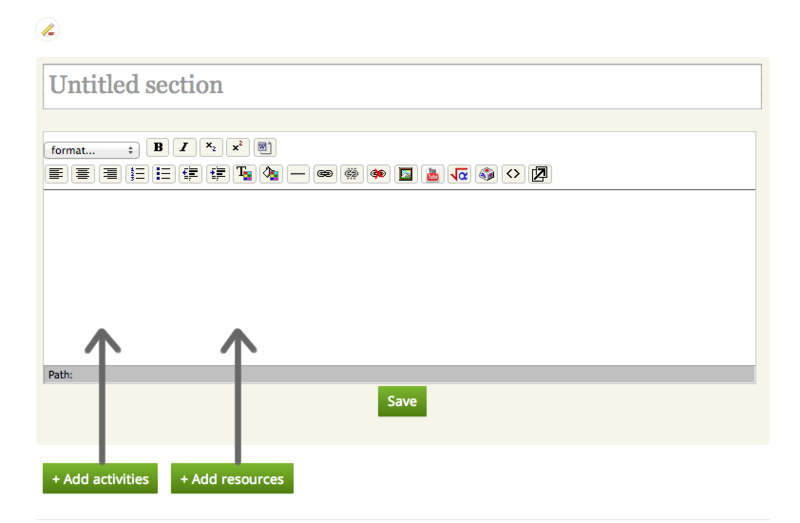 We called the label resource “content” and we made the page resource open within the course front page as an accordion. We improved the display of other resource types too so they were more than just links. When adding videos and images we display a thumbnail. When adding an activity we made it a substantial addition to the course with important metadata such as the opening and closing dates. We made it more than a link! Changes such as these have made our teachers more likely to create Moodle courses which are attractive and rich in content. Modern systems have notifications of important, relevant stuff to the user. Moodle is their online space for their educational journey. It needs to feel alive, not dead. This is done by making updates obvious and not something they need to search for. Notifications of relevant information, changes and social exchanges make the system a dynamic and addictive interface. 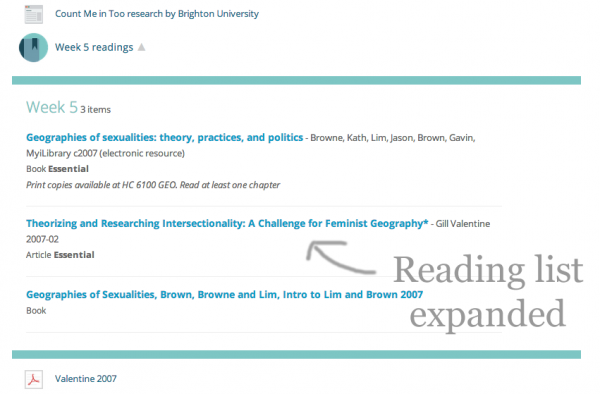 Students are notified about additions of resources and activities to course in the user bar available from all pages – with a count of all unread additions. 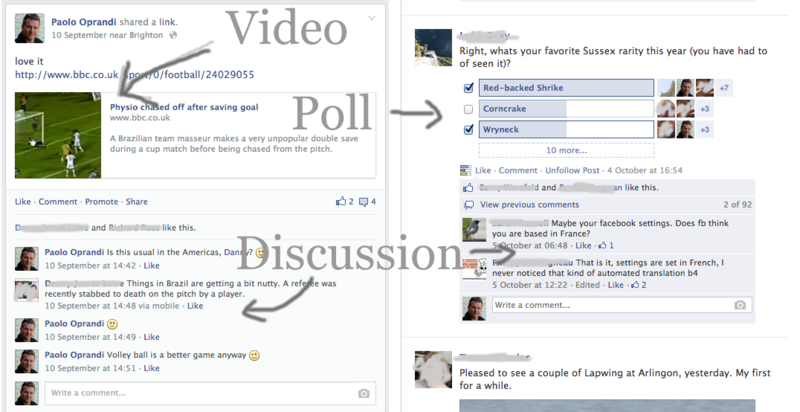 Social elements such as tutor or peer engagement in activities also appear in the user bar – with a count of unread forum posts. Users do not have to drill down into courses to search for what is important to them or what has changed in the system. These updates indicate to the student that the system is a rich, social hub – relevant to their learning journey. This may seem like a lot of work. We’ve done it and it isn’t that hard – it just needs some inspiration. But our final recommendation will help Moodle handle the transition – create a Moodle Lite. A Moodle Lite would include a front page, a user profile, a course page, a navigation block, core modules including resource, label, quiz, forum and assignment and a dashboard for general settings and enrolments. Bang! Everything else is a downloadable plugin including the institution’s choice of authentication system. Once these core elements are as slick as they could be, then, and only then, should Moodle HQ start improving the plugins. We are passionate about education and supporting student learning through online tools. We really want Moodle to be an industry standard product that can meet the needs of educational institutions such as ours. We believe it has a long way to go, but that it can yet achieve its goals. We have confidence that the lead developers will start making the right decisions and taking it in the right direction. As always, please leave any comments below and feel free to contact us. I have been doing a Doctorate in Education part time. At the Moodlemoot 2014 I used my results to make recommendations for users and in some cases developers using Moodle. As many of our regular readers will know, a common theme in this blog has been how it is hard to create Moodle pages that look like the rest of the internet. 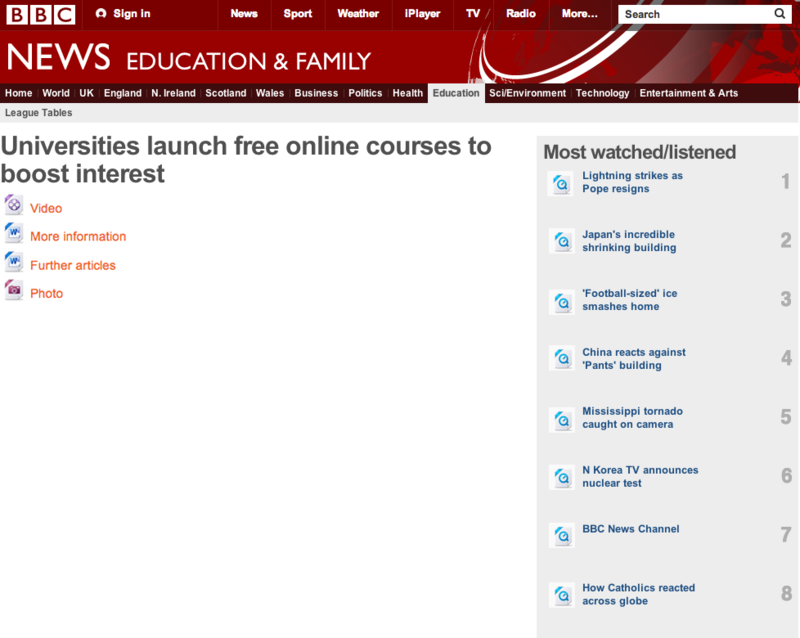 Many Moodle pages look lists. When we are developing we often ask the question “What would Facebook do?” – or more generally “What would other user content systems do?”. Almost everything in Facebook is displayed on the user or group profile page – whether a discussion, a video or an interactive poll. Where the content is long the user clicks on it and the content is displayed more fully on the same page or within a dialog box. As a result we have tried to do something similar with our Moodle. 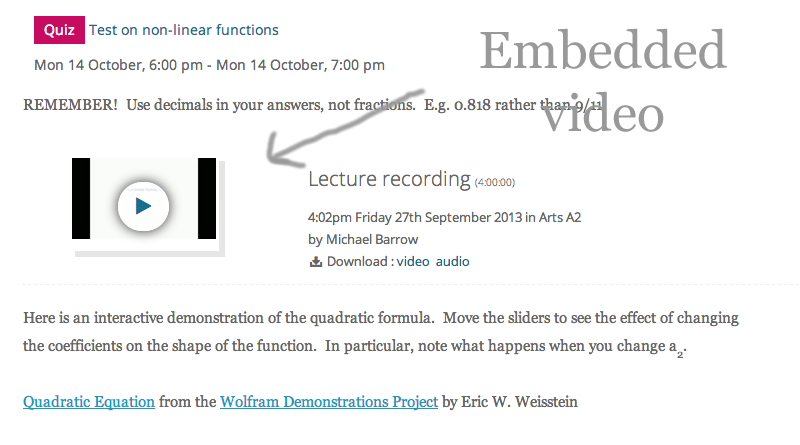 Videos, including lecture recordings (further posts about this coming), youtube/vimeo, uploaded recordings, get displayed with a thumbnail image and optionally played within the page. A reading list module, which we have developed in-house and links with Talis Aspire (further posts about this coming), is displayed in a similar way within the page. We encourage tutors to put content in the section description or in labels (we now call displayed content). Where the content is too much we encourage users to add a “Page” (we now call click-to-reveal content). 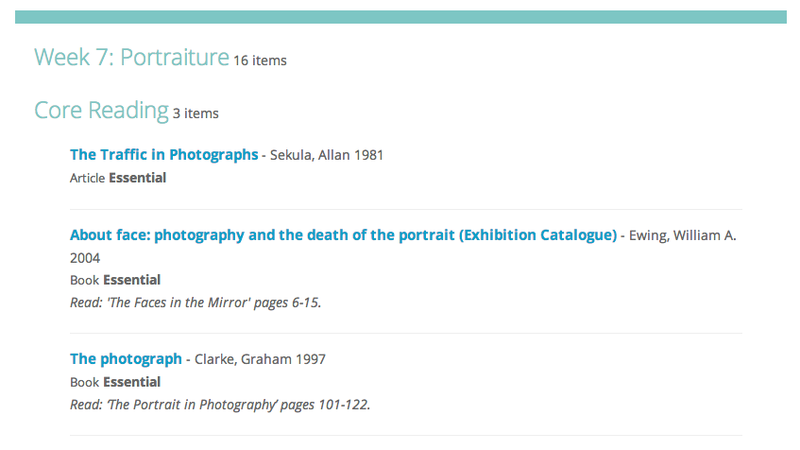 We display this content to students as an accordian, nested in the page and shown on the same page when clicked. Also displayed within the page are uploaded mp3s, images and folder resources. As much as possible we discourage tutors from putting up resources as files for the students to download, but when they do we call these attachments. Attachments take students away from the VLE site which we consider an “online social nexus of learning” :p.
Further developments might include displaying forums in a similar way – nested within the page – or even quizzes. We note that for a long time we were criticising Moodle because it encouraged tutors to create “scroll-of-death” learning sites, but developments such as this increase the length of the page. However we argue that there is a difference between scrolling through lists of links to content and scrolling through the content itself. Facebook, Tumblr and GooglePlus have infinite scroll on most devices because each article contains content. Partitioning sections is still important in a course-based learning system so we oblige tutors to use the page/chapter format. If we are a student in Week 6 of a learning module then navigating passed all the other weeks’ materials requires unnecessary work. As usual we encourage you to leave us some comments. When you create a Moodle course you can add two generic types of learning material. One provides non-interactive content, and the other provides tools for student interaction. 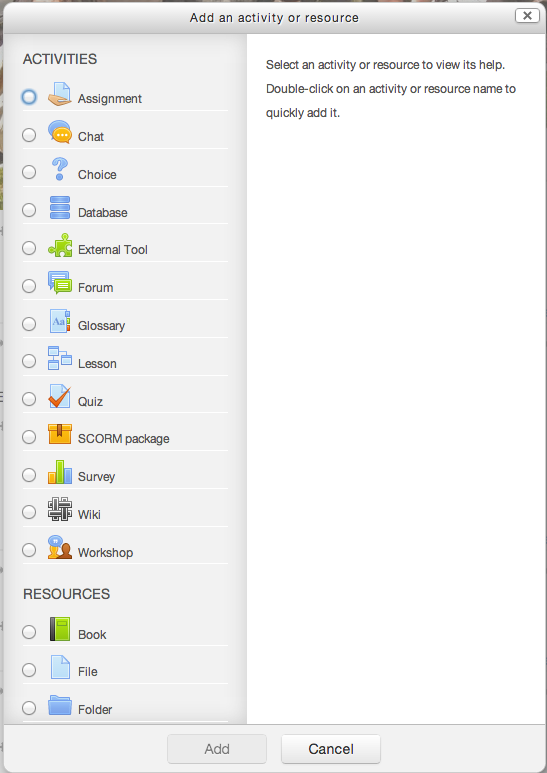 Moodle calls these two material types: “resources” and “activities”. 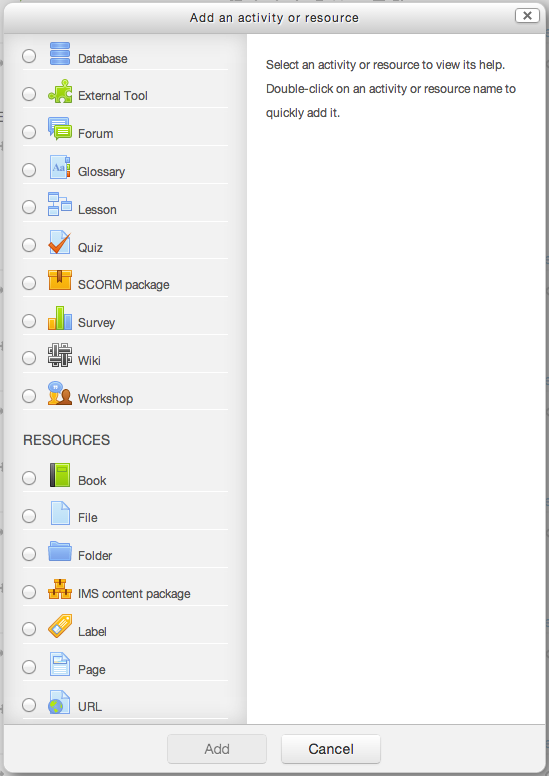 Tutors create the material types through Moodle modules/mods, the names of which reflect what they do – so the “folder” mod creates a resource which displays a file directory and the “forum” mod creates an online space where students can engage in discussions. Moodle has separate mods for creating non-interactive content to be displayed directly on the course page and non-interactive content to be displayed on a new page. They call the former the “Label” mod and the latter the “Page” mod. These mod names do not accurately convey what they do (particularly after we had customised the display of a Moodle “Page”). Accordingly some tutors weren’t using them when they could have been. Informal chats and interviews revealed more descriptive titles for the mods. The research showed that the “Label” is usually used to provide learning content in the form of text or graphics, and so is not really a label for anything. We found “Displayed content” was more of a useful name and that tutors would find an image useful to illustrate what it did. In our Moodle the “Page” is nested within the Moodle course and the content is revealed on the same page when the title is clicked (a blog post about this is coming). It is therefore is not really a page at all. We found “Click-to-reveal content” was more of a descriptive name and, as before, that an image would be useful to illustrate what it did. And when a tutor adds a resource in our Moodle they get the following dialog box. As always we welcome (actively encourage) comments. We have been using Turnitin for formative use for some time. 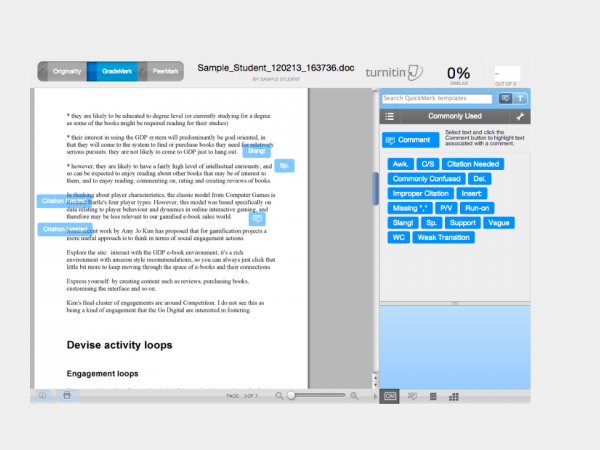 This allows students, researchers and tutors to make textual comparisons between their own work and texts found on the Turnitin database. They can use this to establish that they have cited and referenced their work correctly. Nevertheless we have been exploring technical solutions for such a time that we do. We have developed a plugin based on Dan Marsden‘s (of CatalystIT) Turnitin-Moodle integration. On top of its current functionality we also allow tutors to manually sync Turnitin comparison scores. We are aware that there are other plugins and even more around the corner. We have also heard that the Turnitin API might be changing. Nevertheless we thought this might be worth exploring and putting forward as a desirable model to follow. Over the last year we have made a few changes to the assignment tool in Moodle to improve the student and tutors’ experience. We tried to simplify assignments by removing the confusing (or never intentionally used) options and adding in a few features our tutors did need including a ‘release the feedback’ button. For tutors part of the work involved rationalising the rather confusing and dated view submissions table. For students the experience is hopefully clearer and simpler. We appreciate that improvements are being made to the core assignment tool which we are looking forward to seeing in Moodle 2.6. I will be posting shortly about our proposed solution for Turnitin and Grademark integration with Moodle. Like most people running a large cms on the web we always have an interesting time with video from youtube and vimeo. Embedding code standards change over time, the different urls are always fun, http/https is not intuitive to most users, videos can get taken down quite frequently and that classic 20 embedded videos in one page we used to see on myspace is always fun for page load times. Luckily some very clever people on the web have already solved most of these issues and there are some nice patterns on the web to make it all just work without us having to re-invent the wheel. 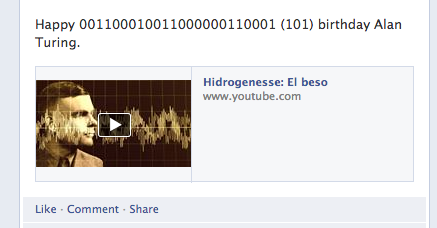 On sites like facebook there are often a large number of embedded videos on a single page. The trick is to show the video thumbnail image, with a play button on top, and only load the actual video when the user clicks play. Its an illusion of embedded videos, but one that works well. So how does this work in our moodle? Youtube, Vimeo and both provide a handy oEmbed API. You can pass it pretty much any video url – shortcode, strange variables etc – and the service sorts out giving you back the most uptodate embed code, and lots of other nice stuff. and vimeo gives a similar output. So now, given a video url, we can call the oEmbed and use a reusable media element to display the thumbnail and metadata. This looks like the video is embedded, but its not – it is just the thumbnail image, which takes considerably less time to load and render. The next trick is to use the html in the json with the the services recommended embed/iframe code. We add an onclick event listeners to the the thumbnail/play button, which uses that html from the oEmbed, adds autoplay, and voila – your watching the video. As an offshoot of making our oEmbed service we also found we could use it for validation. When a user adds a video url if it doesn’t return an oEmbed response, we know its never going to embed with our service. If it does return json we can show them a preview, which is always nice. We are using the same code for the video display as the validation, which I find pretty neat. In case our Moodlemoot Dublin abstract has left you salivating but you have found that our presentation wasn’t recorded, we thought we’d give a quick overview. Sussex University is a research-led Higher Education institution using a customised Moodle install called Study Direct. We have 1,500 editing tutors, 15,000 students, 2,099 2012/13 Moodle courses and 13,500 unique hits per day. The e-learning team is a team of five including two developers, one front line support officer, one teaching support officer and one manager. We don’t have any departmental learning technologists like many institutions. Two, before we made changes to our interface, many of our hard working, conscientious tutors made Moodle courses which were long lists of links (#listofdeath, c.f. #scrollofdeath). The courses our tutors created gave our students a poor experience and left tutors, who had tried their best, unsatisfied and demotivated. 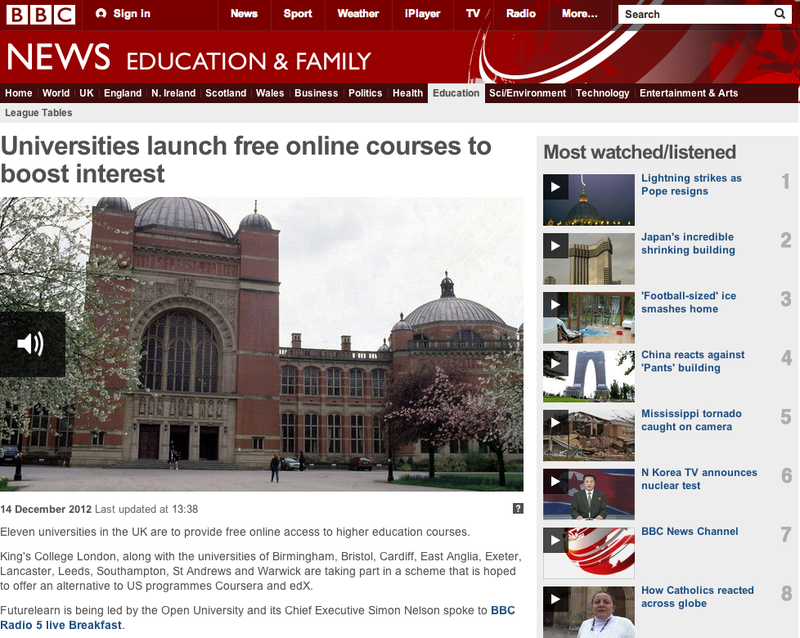 What if our tutors made BBC web pages? Would BBC pages stop looking like this? And start looking like this? We decided we couldn’t rely on training to ensure that our tutors would create rich learning resources for our students. We needed something cleverer. We started to look at other content creation tools. 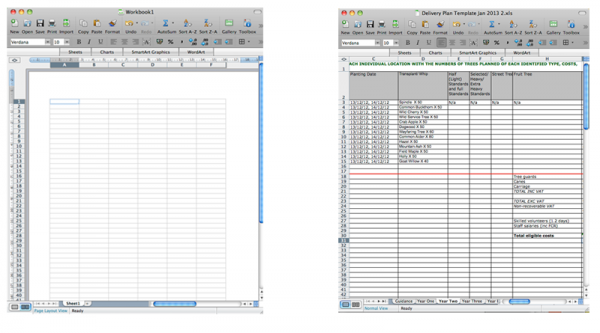 People using word processor applications would struggle to create a learning resource that looked like a Moodle course. People using spreadsheet applications would struggle to create anything that wasn’t a spreadsheet. Presentation software has explicit calls to action such as “Click to add a title” which help people create understandable presentations. Blog editors have explicit and implicit calls to action such as title input boxes and text editors which make it obvious how to create understandable web pages with text and images. We concluded that an interface has the power to explicitly influence the shape, design and type of content the user creates. So what does the Moodle interface look like and what are the calls to action on the busy academic tutor when he or she come to build a Moodle course? Hey! The primary call to action is to add a resource or activity. Yes, they could choose to add a label but what is a label anyway? Or they could add a summary to their section but how do you do that? Can you guess? Should we be surprised that our tutors created lists of resources and activities without context? What would happen then if we added the calls to action that helped our tutors to create engaging learning courses. What might that look like? What are the primary calls to action on this page? If I were a tutor what would I do first to create a learning course for my students? I see that there is an implicit call to add a section title and section content. I think I’d start with that. What about you? And guess what. When I am adding the title and content I am adding contextual online learning material and not simply adding to the “list of death”. Nice start! The bright green colours give me a clear steer. It is asking me to add a site image. That sounds nice. I can add a visual representation of my course much like the cover of a book. I can also see how I can add another section. The “add activities” and “add resources” are large green calls to action at the bottom. They boldly indicate how I can add interactive content and detailed materials that I would like my students to drill down into. Ah and then there is a dashboard. That is where I do the administrative gubbins for my course. So what has this meant for our users? We have found that, in many cases, these prominent calls to action have changed the habits of our tutors. 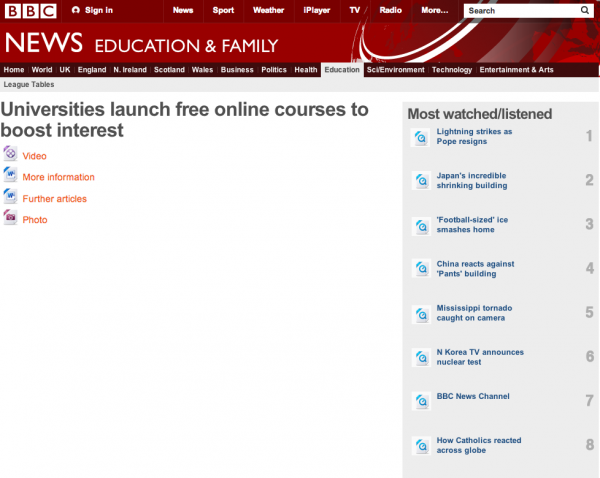 The courses they create are more similar to the first image of the BBC than the second – more similar to content people are used to seeing on the internet. We are seeing an increasing number of tutors create engaging online learning sites with content and context. We think our changes have substantially improved the tutors’ workflow and our students’ online learning experience. We have made other changes, briefly covered in our presentation, such as ‘pages’ opening in an ‘accordion style’ so this content always has context, but I’ll leave these for another post. We know we haven’t got it right yet and we have a long way to go, but we have great ideas. For example, should the resources and activities go directly into the web editor? Despite having loads of good ideas we are faced with the same dilemma as all developers using Moodle – whether to improve the tutors’ and students’ experience of our VLE/LMS or stick with the Moodle core. 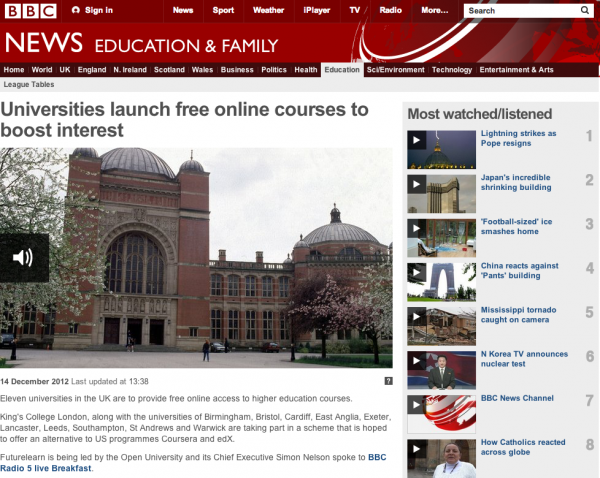 We are walking a tight line, but we want Moodle to become something like our Moodle install – in fact something better. We know if Moodle is to continue to be successful it will do this – it is just a question of time. As a small development team we can’t contribute much code ourselves, but these blog posts hope to generate ideas and help steer its direction. Finally, I’d like to extend a big thank you to the organisers of MoodleMoot Dublin #mootie13. This Turnitin user group meeting came at an important time for the Learning systems team, as we think about how best to support the goals of our institution and our users with tools for managing assessments. A lot was covered in the discussions, but I’m just going to pick out the areas that were particularly relevant for us. Tom Rees (Product Specialist Lead in Newcastle) talked about the challenges that the support team had faced over the last year, caused by unpredicted high growth in the user base. Support hours based in the UK were being extended to 7.00 to 17.30 Mon-Fri with some weekend cover too. A nasty reminder that using Turnitin can involve support issues outside of the control of your own institution, and that this needs to be factored in to any policy. There was also a detailed conversation about how Turnitin should communicate information about specific problems. The general approach is to offer a number of channels so that institutions can pick what suits them. The tutorial is set within the Turnitin document viewer and invites the trainee to carry out a series of tasks that enable them to use Grademark features in a real marking exercise. For Sussex, where we are keen to give our lecturers and senior managers a flavour of using Grademark, this could provide a very easy, low stakes way of doing it. One of Grademark’s strengths is that it makes it relatively easy for marking schemas (Grademark calls them rubrics) to be shared with appropriate staff. For large class sizes where a number of faculty and associate tutors will be marking work, the use of schemas can help with maintaining consistency. The US Common Core State Standards (CCSS) initiative has authored some rubrics for assessment of maths and writing skills at levels K9-12 (translation – secondary school age), and Turnitin has built these into Grademark for its US market. Some of these have been made available for UK institutions. They aren’t directly relevant, but they give a good idea of how to implement a coherent rubric. ACTION: embed into Grademark on test platform for demo purposes. Will Murray, VP of International at Turnitin, presented the product development news. Will confirmed that there had been some real issues with the document viewer in Turnitin (this is the screen that you use to view the Turnitin report or to mark within Grademark), including some memory leaks that had been particularly challenging. Will acknowledged that the Turnitin platform had creaked at times, and had caused significant inconvenience to users with assessment deadlines. This was probably the announcement that generated the most interest in the room, judging by the tweets at any rate. The iPad app is due to be released in May 2013. The date at the meeting for it being publically available within the App Store was 3 May 2013, but the circulated notes from the meeting indicated that this had slipped, but not what the new target date was. It uses “class based authentication” – in other words, the tutor needs to get a code for the assessment they wish to mark from their usual Turnitin grading screen. They then enter this code into the iPad app in order to download the student work and associated materials including marking schemas. The iPad app will make it easy to see which student work has been marked and which has not. 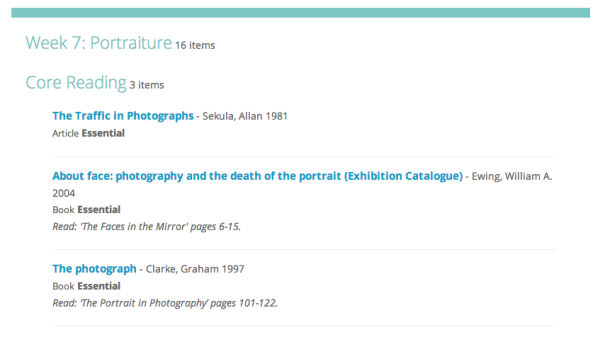 From the iPad app, the tutor will be able to view the Originality report, and see which text in the student’s work matched sources within the TII database. The app will allow tutors to add Grademark’s quickmarks – the pre-prepared marking comments. It also supports the use of marking schemas. The great news is that this will provide an offline tool for marking using Grademark on an iPad. Is this going to be our tutors’ preferred marking style? Interestingly though, Will confirmed that there were no current plans to produce an offline version of Grademark for laptops / desktops. There is also no current plan to release an Android app. This project is due to run for the next 6 months, based in Newcastle. The aim is the rewrite the document viewer so that it uses the HTML5 Canvas element, and to improve the speed and fluidity of the viewer. This sounds like a useful feature that brings in the idea of review layers. Review layers enable multiple markers to work independently. The initial release will not implement privacy, so all markers will be able to view all layers, but further releases will enable this. Changes to marking will be tracked, and an audit tool provided. As we move to supporting more complex setups in Turnitin than we do at present, the new admin tools are likely to be extremely useful. The tools are basic admin tools that really should have been there all along. When we are using Turnitin more widely across the institution, we will need to factor in the costs of additional support for staff and students. We will need Turnitin admins who can bridge the gap from moodle into Turnitin and be able to confidently manage Turnitin assessments within the Turnitin interface when necessary. These tools should help with that.